“’I am the Lord your God, etc. You shall have no other gods before me,’ etc. Here I earnestly consider that God expects and teaches me to trust him sincerely in all things and that it is his most earnest purpose to be my God. . . .
“Second, I give thanks for his infinite compassion by which he has come to me in such a fatherly way and, unasked, unbidden, and unmerited, has offered to be my God, to care for me, and to be my comfort, guardian, help, and strength in every time of need. We poor mortals have sought so many gods and would have to seek them still if he did not enable us to hear him openly tell us in our own language that he intends to be our God. How could we ever—in all eternity—thank him enough! “Third, I confess and acknowledge my great sin and ingratitude for having so shamefully despised such sublime teachings and such a precious gift throughout my whole life, and for having fearfully provoked his wrath by countless acts of idolatry. I repent of these and ask for his grace. I will do well to get in a rhythm of praying through these Ten Commandments. Perhaps not every day, but regularly. And not in a rushed way. It can be easy to zip through the consideration / thanksgiving / confession sections, and quickly rush into my litany of things I want God to do for me. I sense that wading deeply through the first three stages with effectively change the content of stage four! Next up: A few thoughts about the third commandment. We all quickly agree that commandments 1, 2, 4, 5, 6, 7, 8, 9 and 10 are still to be wholeheartedly obeyed today. But the third commandment? Many have dispensed with it altogether. I’m talking about Sabbath-keeping … next time. It truly is an ancient path that we should be asking for. 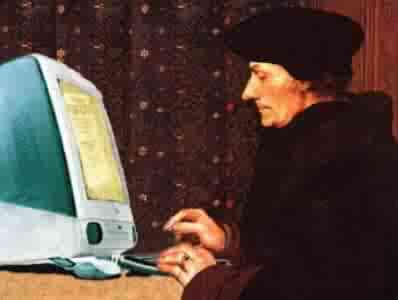 Erasmus lived in Europe from 1466 until 1536. He was a priest and scholar who loved Christ and his bride. As a predecessor to the coming reformation he contributed to it in a number of important ways, however, he never broke with the papacy or the established church. As a result his importance and role were largely downplayed for centuries. As the illegitimate son of a Catholic priest and a physician’s daughter orphaned by the plague; Erasmus was hardly positioned for great success and glory. 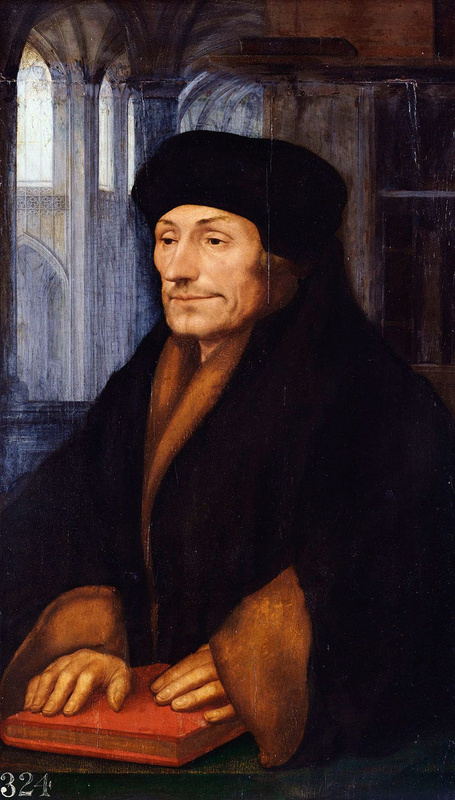 His early education was entrusted to a monastic group, “The Brethren of the Common Life.” Although he would later be critical of certain monastic ideals, Erasmus would go on to appreciate the discipline and order that he learned from the order. In order to fulfill a desire to study and travel Erasmus joined the Augustinians and was ordained as a priest. 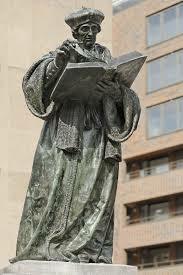 Erasmus became the secretary to the bishop of Cambrai who sent him to Paris to study theology. The studies in Paris were rigorous and challenging, but his monastic upbringing prepared him for the studies and the difficulty of the studies would prepare him for his future academic works. As he studied Erasmus developed a love for his studies. It is this love that connected him with a movement of academics called the Humanists. The Humanists were men devoted to the study of the literary works of the past. They were not Humanist based on their belief of the centrality of men, rather on their devotion to the humanities. Throughout his studies Erasmus began writing and quickly became an accomplished and prolific writer. He would write no fewer than 15 published works and by 1530 between 10 and 20 percent of the published works sold were written by him. His works included titles like; On Free Will, The Praise of Folly, On Civility in Children, Copia: Foundations of the Abundant Style, Julius Exclusus, and Handbook of a Christian Soldier. The last book was a more complete expression of his theology. Erasmus believed that all men were accountable as soldiers of Christ and used a series of military metaphors to express the call to discipline and service. He was critical of the monastic and priestly elites that celebrated their piety, but did little to call others to practical lives of obedience. He was also critical of the engagement in “the vices of the pagans” that he observed at every level of the church leadership. These criticisms would eventually lead him to speak well of Luther’s call for reform even if he disagreed with Luther’s methodology. Erasmus pursued the best theologians around Europe. His studies took him to England as well. While in England he made two enduring relationships that would impact him for the rest of his life. He became fast friends with Thomas More and they remained close for the rest of their lives. The second relationship emerged after Erasmus heard John Colet preach. Colet preached from the Scriptures anew rather than the commentaries that Erasmus had studied in Paris and elsewhere. It is not clear if the theology was distinctly different, but it was clear to Erasmus that it came from a devotion to and an understanding of the text. This kindled within Erasmus a desire for an understanding of the text that was the result of deep study of the text. For Erasmus the logical step was to seek the text in its purest form. Rather than mining the depths of contemporary understanding he sought to dig down into the text itself. To this effort Erasmus began to study Greek and to gather to himself as many manuscripts as he could find. As a result of his discipline and dedication he was able to quickly master the Greek language. He worked frantically on the New Testament and quickly produced a collected Greek new testament formed from the manuscripts. Upon completing the collection he began to translate the work in to the common language of the academy, Latin. Although the Latin Vulgate already existed at this time, Erasmus desired to improve the quality of the translation both in accuracy and in care for the language. What Erasmus produced was a tri-linear publication with the original Greek New Testament line by line with both the Vulgate and his own Latin translation. Included in the text were his personal study notes as well. Erasmus’ express purpose for producing this document was to create a translation that would be easily translated into the common languages of the people quickly and accurately. In fact this is the most significant impact that Erasmus had on the reformation. His translation and collected manuscript work would go on to be used in the translation of the KJV version and Luther’s German translation of the bible. Erasmus invited scholars to discuss the translations and the common man to engage in the text. Erasmus is quoted in the preface of his published translation as saying, “Would that these were translated into each and every language… Would that the farmer might sing snatches of scripture at his plough and that the weaver might hum phrases of Scripture to the tune of his shuttle, that the traveler might lighten with stories from Scripture the weariness of his journey.” Even before the Reformation took hold, Erasmus desired future where the Holy Scriptures guided and inspired all of God’s people directly. In his later years Erasmus was still pursued by both the church and the Lutherans. He continued to ride the fence between the two positions. As a result the Pope accused him of sedition and censored much of his writing and the Lutherans accused him of forsaking the gospel and called him a coward. When pressed for an answer Erasmus recognized the Pope as the Vicar of Christ and the established church as the best opportunity for unity of the faith. It was only centuries later when the rhetoric died down that Lutherans and Catholics alike looked back and recognized the work of Erasmus. He was then understood to be a man of significant scholarly achievement and as a man who loved the Scriptures and Christ. Despite his abstaining from a fight that he feared would hurt both parties, he was a passionate man seeking God and desiring the same for all men. Resisting temptation…it just never goes away, does it? C’mon…even on Christmas?!?!? Luther makes me laugh…and cry at the same time! He nails me. During the holidays, I inevitably find myself sitting on the couch after eating an amazing meal, having had a couple of desserts, now nibbling on cookies, staring at a pile of un-needed gifts and used wrapping paper …you might as well hang a sign around my neck that says “surfeited, sluggish and lazy.” That’s what Christmas is all about, right? But it’s not just Christmas…it’s holidays in general. The nation of Israel used to have holidays. They were all designed to celebrate and honor the mighty acts of God in the lives of His people (Passover, Feast of Booths, Hanukkah…). You gathered and worshiped as prescribed in the law, out of profound gratitude, for the pleasure of God. In the United States, some of our holidays had similar intentions – honoring the Revolution, memorializing and honoring veterans, honoring past leaders, even honoring the labor force. We celebrated something way bigger and more important than ourselves. But any more, holidays are for self. They are days we are told we don’t have to work, and we can rather indulge ourselves on those days for our pleasure. Parties, sales, lots of alcohol, lot of, as Luther would say, “wantonness.” We’re the honorees…we wear the crowns. Such is the fate of Christmas, I’m afraid. I guess I shouldn’t expect a culture that struggles to honor anything to gather itself and honor a mostly-rejected spiritual leader’s birthday. I should expect people to celebrate, not Christ, but themselves. It’s really nothing personal, Jesus. 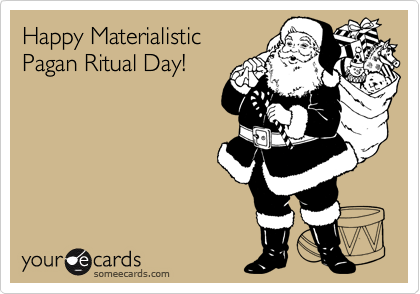 It’s how we as a self-absorbed, carnal culture celebrate all holidays. But, there will be some. I’m sure there are some every year. Some who will actually find joy in the word of God, even in the tough words of God, even on Christmas day. They’ll find it in themselves (through Spirit, prayer and Word) to remain a disciple, even on Jesus’ birthday. The joy of the Lord will trump the happiness of indulgence. And, with the Spirit unquenched, they will resist the Devil, and he will flee. They will enjoy the presence of the Lord on Christmas. To Him will be dominion, forever and ever … including even Christmas day. Lord, forgive me. Might I be counted among the faithful this year. And throughout the upcoming 12 Days of Christmastide. And forevermore. Amen. 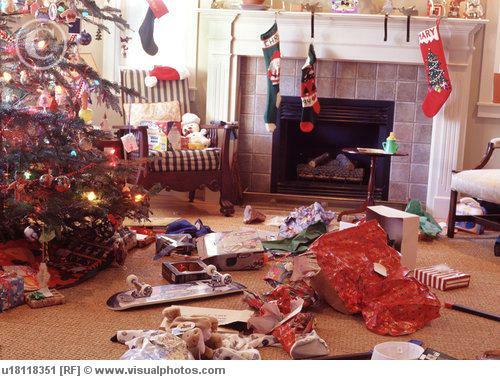 “Only one more shopping day until Christmas.” I remember hearing that phrase as a kid – and needing to have it explained to me by my Mom. Even then, I thought it weird that the task of gift-buying was given such an up-front reference. 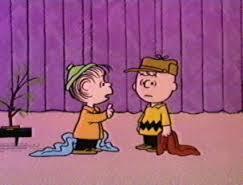 Maybe I was touchy about it because I grew up loving the Charlie Brown Christmas special. Since I I can remember, I have always considered Charlie Brown a kindred spirit, longing for the “true meaning of Christmas” in a world saturated in materialism. 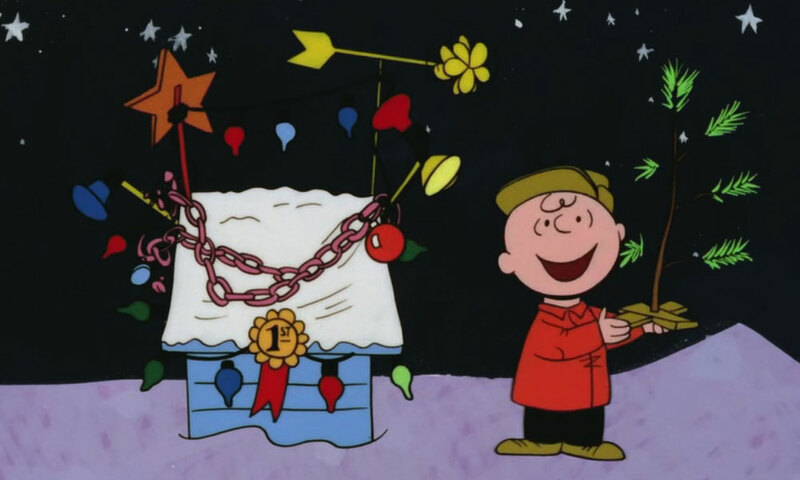 Toward the end of the show, Charlie Brown says in an aside, “I won’t let all this commercialism ruin my Christmas.” That’s right, CB! You tell ‘em! Let’s rise above it all, and turn this holy-day into a Jesus-focused, worship filled season! Then, I make the list of Christmas presents I need to buy, hike to the mall, and engage in the ridiculous ritual of purchasing gifts that people don’t need, with money that I don’t have. Why? 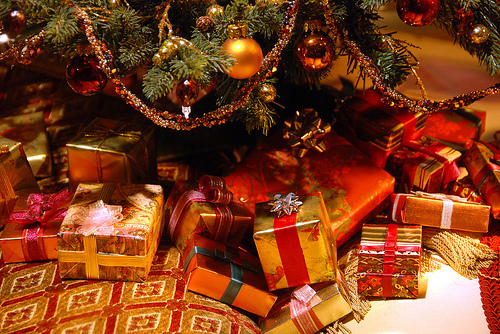 I confess…it’s not because I simply want to give gifts. And there is virtually no genuinely spiritual motivation – like imitating the Magi, or celebrating the tradition of St. Nicholas. Nope…for the most part, I buy things because I’ve been convinced that if I don’t, then I’m a Scrooge. And I have to make sure I spend enough on them to match how important they are to me. Oh, and it needs to be a wonderful, creative gift, or else it’s all for naught anyway. 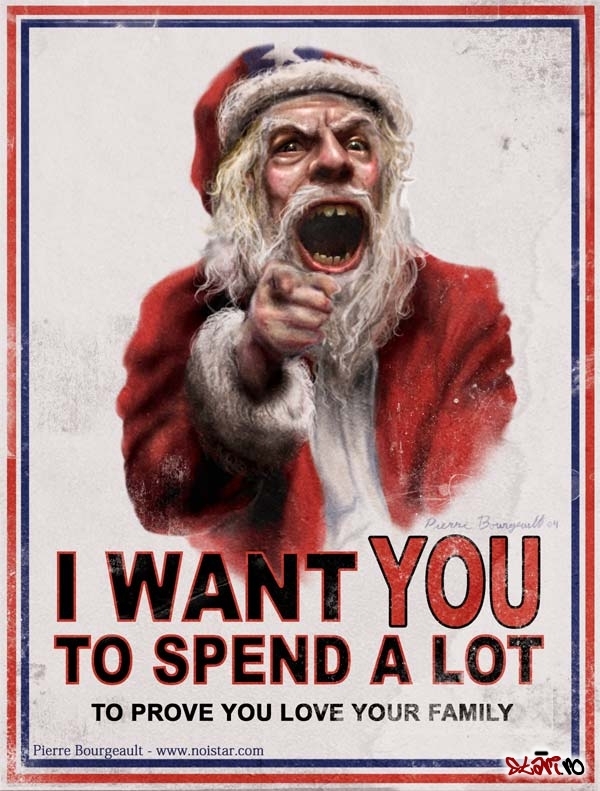 Does anyone else see that we have been manipulated to make these purchases by a media-infested, capitalistic, greedy culture that cares absolutely nothing about Jesus? Don’t you hear them speak about whether or not this is a “good” Christmas based on “consumer confidence” and “holiday sales”? And isn’t it astonishing that Christian after Christian follows this cultural paradigm like lemmings to the sea, even though it runs counter to the teaching of the Word of God on multiple points? God says bless the poor – we bless those we like who are in our network. God says daily bread, food and shelter, is enough – but we line our homes, garages and mini-storages with piles of stuff. God says share the gospel – we table to gospel to keep the friction of unbelief away from our cozy gatherings. It’s as though we collectively lose our spiritual minds. It makes sense to me that Christians should observe the holy days very differently. But I, like so many others, feel the pull of the commercial holiday so profoundly that it seems there is no escaping it. At least not without being called a Grinch. “Be sober-minded; be watchful. Your adversary the devil prowls around like a roaring lion, seeking someone to devour. 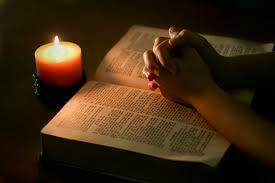 Resist him, firm in your faith.” (1 Pet. 5:8-9). Our enemy is clever…and when we see Him on the prowl, he must be resisted! I think that’s it for tonight. Praying that I, and hopefully a community of others, have not be irretrievably seized, and will have the boldness to observe Advent and Christmastide in increasingly godly ways. “Dear friends, do not be surprised at the fiery ordeal that has come on you to test you, as though something strange were happening to you. But rejoice inasmuch as you participate in the sufferings of Christ, so that you may be overjoyed when his glory is revealed. If you are insulted because of the name of Christ, you are blessed, for the Spirit of glory and of God rests on you” (1 Pet. 4:12-14). It’s the Monday before Christmas day. Family gatherings have begun to take place. 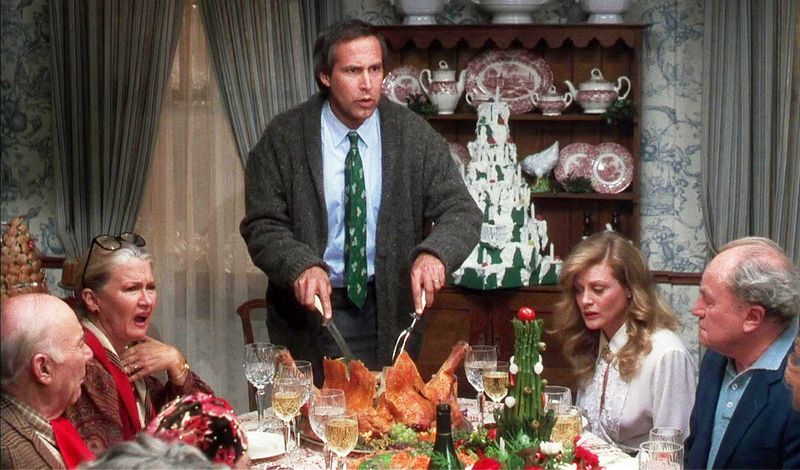 For those of us who truly believe in the fullness of the Christ of Christmas, these gatherings can be awkward. The Word of God is clear: We should share the gospel of Christ. Especially on the day we celebrate His coming! But we know that we’re to share the gospel with those in our families who don’t believe. But we know that conversations like these can engender ill will, even hostility. Cultural Christians, religious unbelievers, are a mixed bag. Do you have these in your family? The ones who think it fine to speak of Jesus, almost authoritatively, and even to attend the occasional church service (especially around the holidays). But they are hostile to the Biblical call to wholeheartedly follow Christ. In our society which battles relentlessly for political correctness and religious pluralism, it has become the cultural imperative that we not only let people believe whatever they want to, but we are obliged to honor their beliefs. “God, on my terms!” they argue…and who are we to counter their ideas? In the spirit of Advent…would you share the gospel if you thought Jesus would be arriving for His second coming on Thursday? I would guess yes. Knowing what you know now about the truth of the gospel, wouldn’t you want people to keep bringing it up if you weren’t a believer? I know I would. Praying that all of us can be bold carriers of the gospel this holiday season … and that the Spirit of glory and of God will rest upon us, making our lives and words divinely fruitful! Does anyone else connect Noah’s Ark with Christmas? 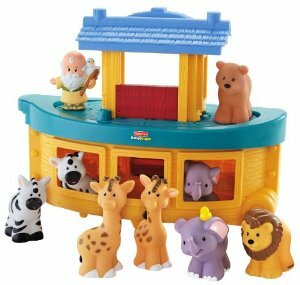 I do…mostly because I remember giving a toy Noah’s Ark to our daughters for Christmas one year. And, each year that cute Noah’s Ark ornament finds its way to the family Christmas tree. The fact that this portion of mankind’s history has become a sentimental children’s story is interesting. Somehow, lots of cuddly animals on a family boat trip, culminated by a rainbow … these tender images have pretty much trumped the specter of the global holocaust that was going on under the waters. We have the tendency to do the same thing with the Second Coming of Christ. Do we long for it? Of course! But, in it’s tow will be devastation the likes of which the world has never seen. Personally, I don’t long for that. Today’s text from 1 Peter references the flood. “God’s patience waited in the days of Noah, while the ark was being prepared, in which a few, that is, eight persons, were brought safely through water. Baptism, which corresponds to this, now saves you, not as a removal of dirt from the body but as an appeal to God for a good conscience, through the resurrection of Jesus Christ” (1 Pet. 3:20-21). Sinful men, the patience of God, the covenant between God and His elect established, the impending judgment, and the salvation of the remnant. These are descriptors for both the days of Noah and these “last days” before the return of Christ. The season of Advent drives us into this connection, and to acknowledge the gravity of our times. Not to get way off on baptism here – but Jesus commanded us to go into the world and baptize. This ancient initiation rite, infused with divine efficacy and depth of meaning by Jesus and his disciples, is an indispensable part of God’s gospel plan. It has always been understood as the official “embarkation” onto the ark – which Luther equates to Jesus/the Church/the Gospel all in one! There is, however, a striking difference between Noah’s ark and today’s church: God has called today’s “Noah” to go into the highways and byways, and seek passengers for the ark of salvation before the deluge begins! Each day God’s patience delays the second coming means salvation for many (2 Pet. 3:9). But the flood waters are coming. Our advent focus should heighten our urgency to share the evangel-invitation to the world, that they, too, may be baptized onto the passenger list. So, when you see a cute little Noah’s Ark this holiday season, think a bit about the underwater reality of that story, and let it motivate you to prepare for His coming!